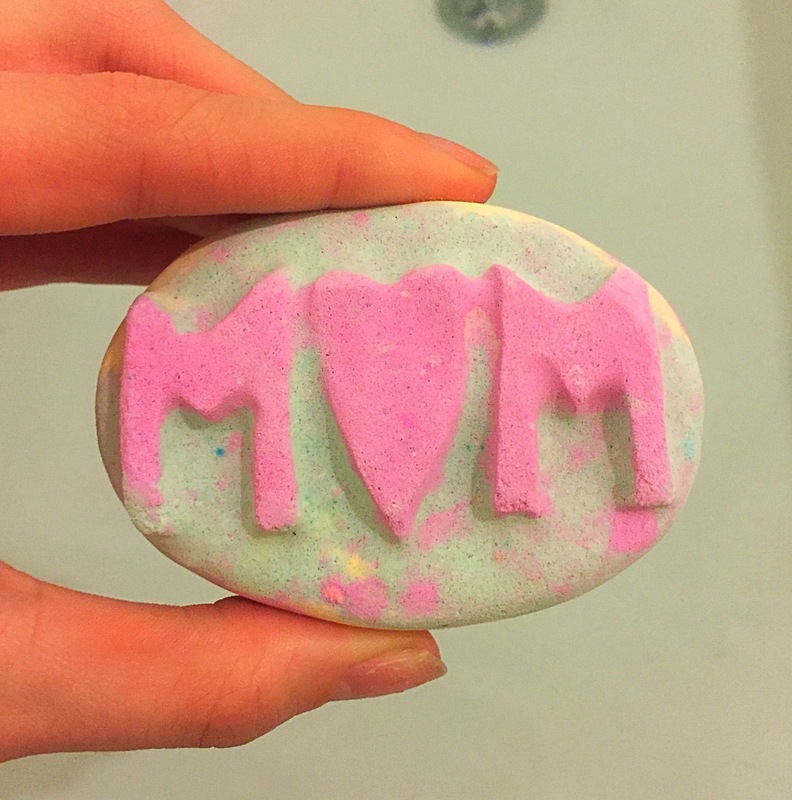 What better way to celebrate Mother’s Day than by having a Mum bath bomb. 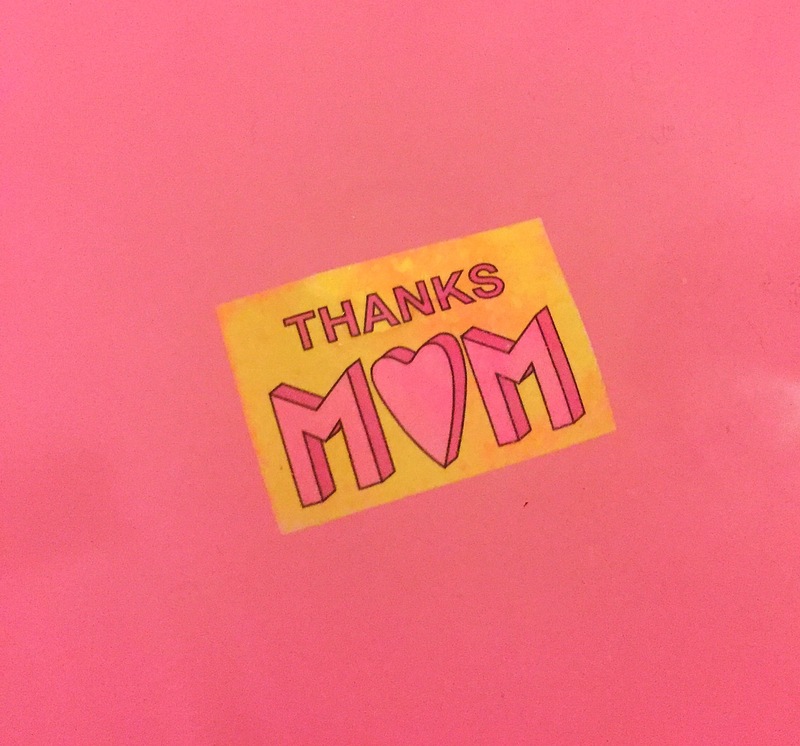 This small bath bomb is ideal to give to your a mum as a little thank you for everything she has done for you. My mum has never ever tried a lush bath bomb before so I’m defiantly going to be buying her one of these cute bath bombs. The Mum bath bomb comes in two slightly different designs. One is green with yellow writing and the other is green with pink writing. Although different in design both are exactly the same scent wise. Containing Sicilian lemon oil, sweet orange oil and rose oil, the mum bath bomb has a lovely sweet zesty scent with a slight floral hint. It also has a slight powdery sherbet scent which reminds me a little of Love heart sweets. 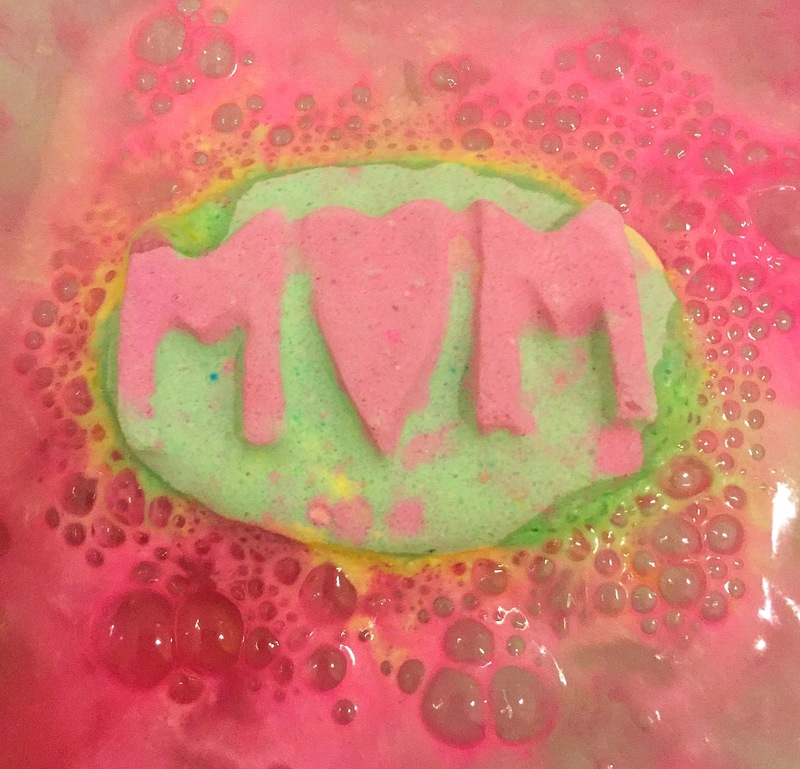 Once popped in the water the Mum bath bomb is a super quick fizzer. As it fizzes away it turns the water a vivid shade of pink. Once the middle of the bath bomb is reached a super cute message is released which floats across the surface of the water. I did find that the scent of this product was a little weaker once in the water, but it still provided a lovely bathing experience. 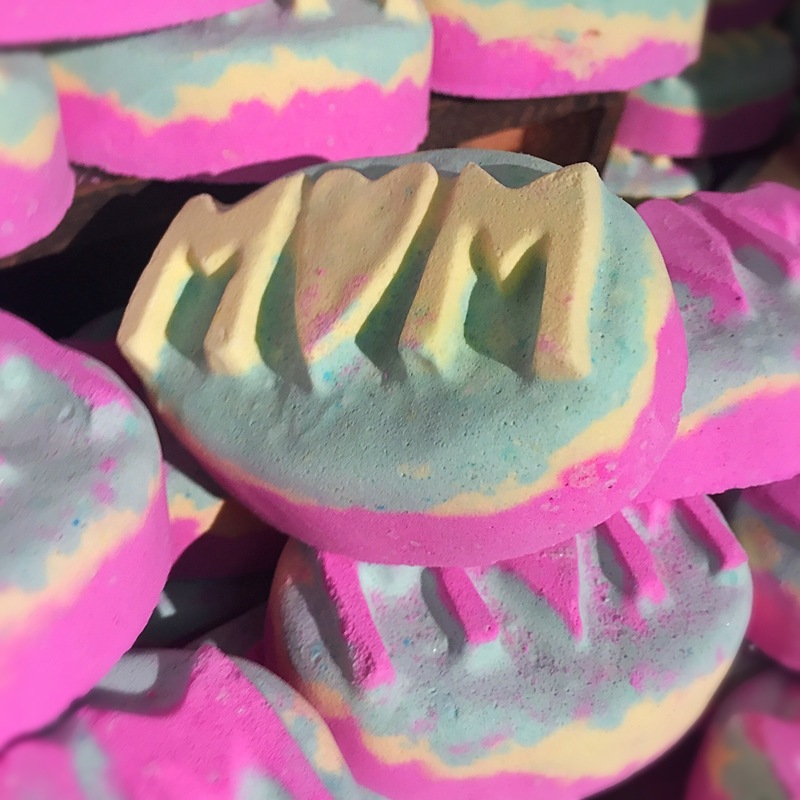 Due to its slightly smaller than normal size I would Say that the Mum bath bomb is perfect for someone who hasn’t tried a Lush bath bomb before and it’s smaller price tag means that it is great to buy as a small present especially for little ones who are looking for something for their mums. 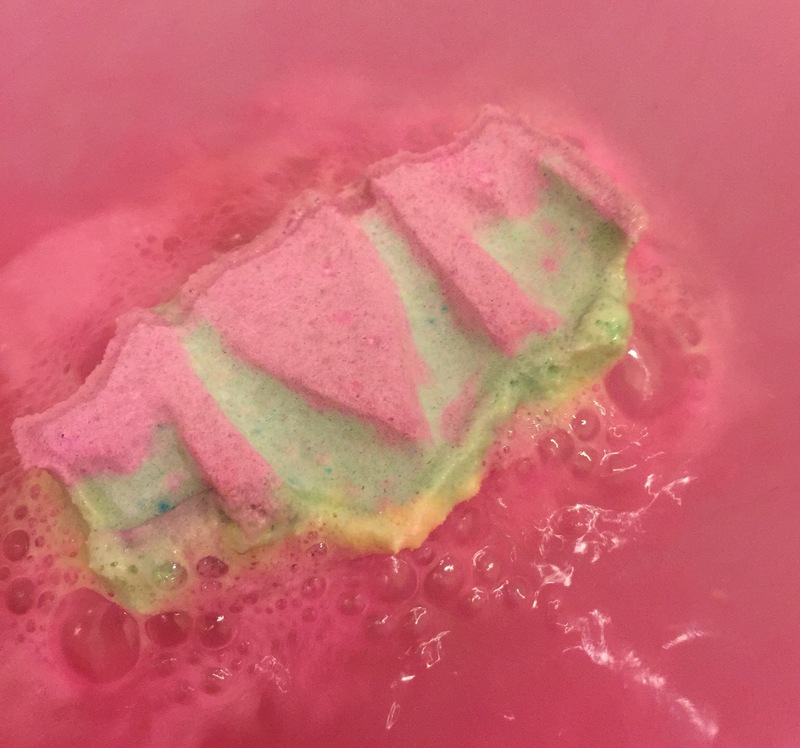 Overall I really enjoyed the Mum bath bomb. 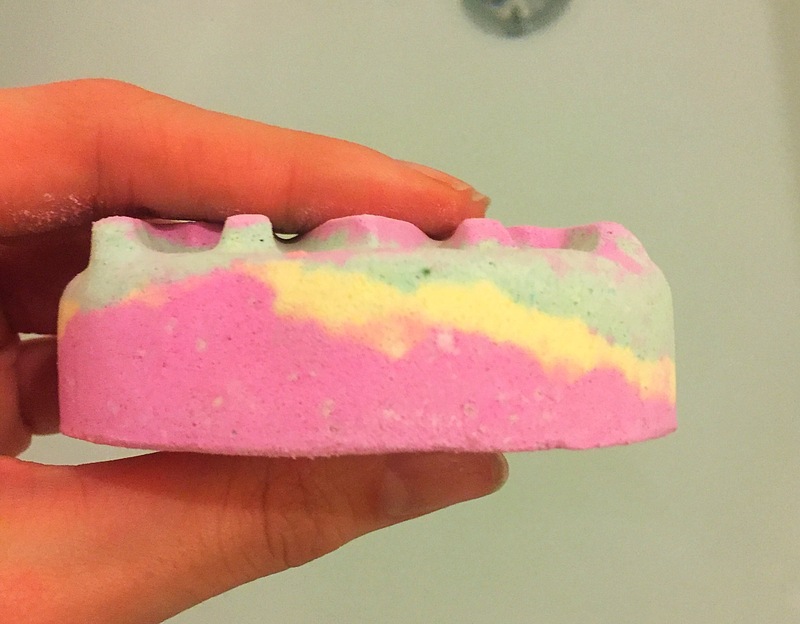 I loved its sweet yet zesty scent and I also loved a Lush product with a hidden surprise. INGREDIENTS: Sodium Bicarbonate, Citric Acid, Perfume, Sicilian Lemon Oil, Organic Sweet Orange Oil, Rose Oil, Gardenia Extract, Cinnamal, Citronellol, Geraniol, Limonene, Linalool, Colour 17200, Colour 45410, Colour 42090, Colour 19140, Chlorophyllin.